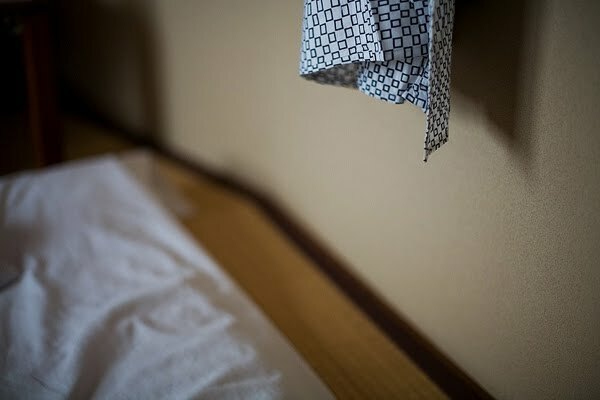 Not so long ago, I'm ashamed to admit, I hadn't heard of the word tatami. But after a night sleeping on tatami mats in Japan, I was completely sold on the concept. In fact i really, really like the whole concept of tatami mats. 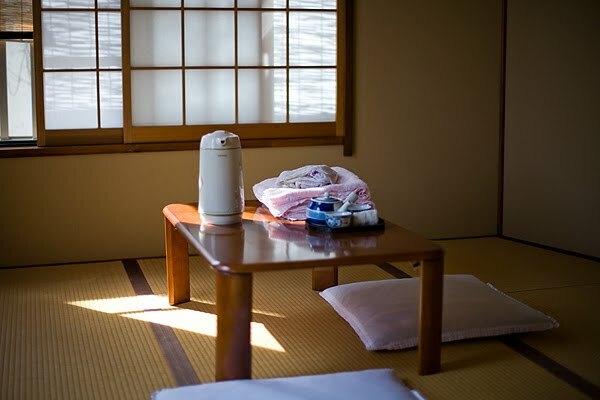 I like the fact that each region in Japan has particluar sized tatami and the way traditionally a room was built according to a specific number of tatami mats. I especailly like how each morning you neatly fold up your bedding and store it in a cupboard, to be brought out again in the evening. Voila, you have an instant living room; a rearranged space, tidy and serene. I've always liked the idea of using the same space in different ways and also changing room layouts. As a child I used to be constantly rearranging my bedroom furniture. In fact I also really quite like the feeling of being in a new apartment before all the boxes have been unpacked and all the living spaces have been defined. I'm not so keen on change in general but I do quite like room changes. Where I grew up, tatamis were oddly normal - aren't they amazingly versatile? My husband and I bought a couple of small roll up futons on Ebay, and we used them much in the same way for years. In the summer, when the living room was the coolest room, we'd take the mats out there. It's very versatile, and I like being able to change up rooms, too. 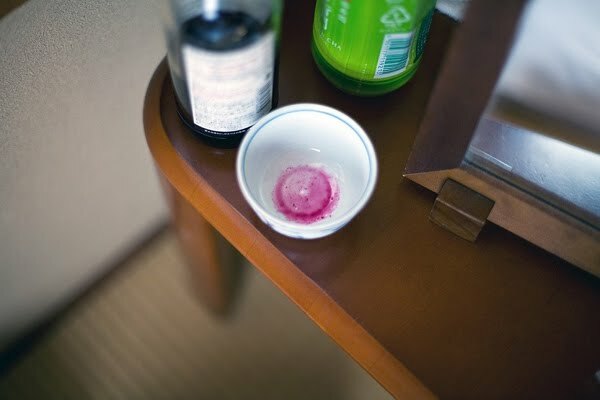 loving the photographs you brought back from your travels to japan! and beautiful photos especially the first one! 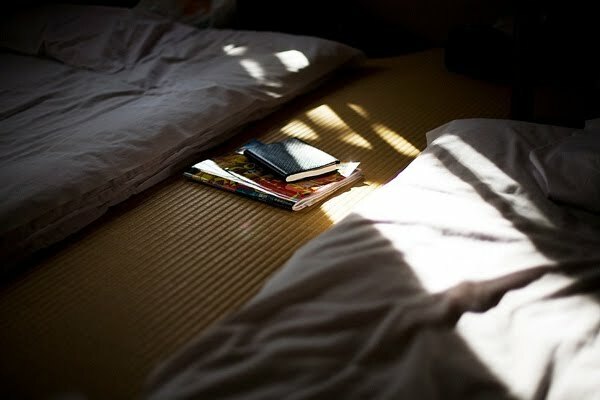 I love the idea of such a spare and uncluttered space and beds (tatami mats) put away during the day. Wow I love your photos..... I can't wait to be back in Japan soon..
your photos from Japan are stunning! I grew up in Taiwan but we had tatmi in our playroom. My mother thought it was the safest thing for babies to roll around on.